Our construction customers recognise the benefits of sustainable development, both in meeting government guidelines, and improving social and environmental performance. British Steel is certified to BRE’s Environmental & Sustainability Standard BES 6001. We hold ‘very good’ performance, meaning our customers can be confident they are working with a supplier who is committed to sustainability and that it is embedded into their company ethos. Through this external validation, customers are able to benchmark our performance and demonstrate they are sourcing products from a responsible supplier. Designers and developers use our products in the knowledge that they can secure additional credits under other standards, such as BREEAM and CEEQUAL. The certification covers our Teesside and Scunthorpe sites, where we manufacture rail and sections products. The following outlines the sustainability performance at these sites and highlights the work we undertake with our local communities. Sections: Structural steel sections are manufactured and processed at Scunthorpe Rail and Section Mill and Teesside Beam Mill. Carbon dioxide is a natural by-product of the steel-making process. Carbon, in the form of coke and coal, is used as a chemical in the blast furnace to produce iron from iron ore. This turns the carbon into carbon monoxide and carbon dioxide. When we burn gas produced in the blast furnace as a fuel, this produces more carbon dioxide. Of course, we also purchase energy products such as natural gas and electricity for our operations. This results in further emissions of carbon dioxide, either on our sites or at the power stations generating the electricity we purchase. We measure our carbon dioxide intensity according to the World Steel Association methodology and we commit to reporting these emissions every year. Integrated steelmaking requires large amounts of raw materials such as iron ore and coal. It's vital that we continue to optimise our consumption of these raw materials by minimising waste and ensuring that our by-products meet tight quality control requirements so that they can be used in other industry sectors. Our most significant by-product is blast furnace slag. This has now become a valuable raw material for the concrete industry, where it is used as a clinker substitute, thus reducing mineral extraction and CO2 emissions further. Steelmaking slag is used extensively in civil engineering and agricultural applications, and tar and benzole from our coke-making processes are used within the chemicals industry. We apply advanced techniques at all our integrated steelworks to extract valuable components such as iron and carbon. Some waste from our operations is unavoidable, but our aim is to ensure that as much as possible can be reused, recycled or recovered. Yield optimisation is a key element in managing resources efficiently, and we have comprehensive programmes in place for measuring consumption, reviewing performance, identifying benchmark consumption levels and targeting measures for filling the gap. The impacts associated with the transportation of our raw materials to our manufacturing sites, delivery of our products to customers, and business travel are relatively small when set against the footprint of our manufacturing operations. Nevertheless, we have an environmental policy commitment to reduce the environmental impact of our operations and products through the adoption of sustainable practices. For this reason, we seek to measure our transport impacts and to progressively reduce them. We are passionate about growing and developing our workforce, and apply a common approach to employment and skills across all of its sites. For more information, click here. We take on hundreds of apprentices each year, into Engineering, Technical and Support Function roles. A scheme for Junior Technologists launched in 2015, leading to a day-release degree without the student debt, combined with on-the-job practical experience. We have continued to recruit graduates and offer summer placements and bursaries for undergraduates, despite challenging market conditions. The company values uphold equality of opportunity and continuing personal development, for example through funded membership of professional institutions such as the IOM3, IET, IEMA and IMechE. Our Industrial Cadet scheme is designed to raise the aspirations of local youngsters aged 13 and 14, inspiring them to consider careers in manufacturing and avoid long term unemployment. It includes talks, presentations, tours and interactive workshops supported by British Steel volunteers. 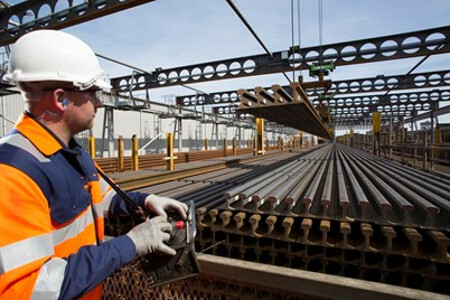 The integrated steelworks at Scunthorpe, North Lincolnshire manufactures approximately 2.8 million tonnes of steel per year, as semi-finished slabs, blooms and billets for export off-site, and finished products such as sections, rail and wire rod. Scunthorpe produces emissions of CO2 from a number of different plants. Gases are produced as by-products of blast furnace ironmaking, basic oxygen steelmaking and coke production on site. The priority is to maximise the use of works-arising process gases as fuel for other combustion processes within the site, such as steel re-heating prior to hot rolling and steam raising. Significant capital expenditure has been made in recent years as part of an ongoing investment programme focusing on energy management. We are implementing a rigorous energy assessment and improvement process, known as the Energy Wave. A focused core team, together with experienced and knowledgeable plant personnel, develop a plant energy improvement plan for an area over 3 months. Scunthorpe Rail and Section Mill, Rod Mill, and BOS Plant have already been through this process, with the recommendations now being implemented at local level. Millions of pounds of energy savings have been identified, with a large proportion of those accessible via ‘quick wins’. In line with British Steel’s objective to reduce / eliminate waste to landfill, Scunthorpe has enacted a number of waste reduction strategies. Applying the waste hierarchy, we encourage re-use of materials such as scale and gas-cleaning residues within site processes. A wide range of technologies such as waste oxide briquettes, hydro-cyclones, thermal desorption of oily residues and de-watering facilities have been implemented to recover materials back into the process. As a result of the recent improvements in material management, well over 90% of all residue material produced across the site is subject to internal recirculation or external recovery/ recycling. With regard to general waste streams, the site segregates recyclables at sources and has established a waste recovery facility to further recover material from the general waste stream. A site improvement plan has been developed to encourage the recycling/return of containers holding hazardous liquids or oils, and reduce additional waste resulting from contamination or damage. 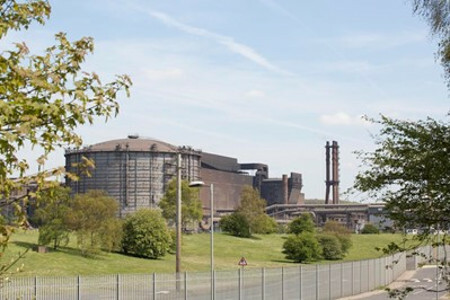 Scunthorpe is currently achieving best practice with regards to water consumption at an integrated steelworks and, as such, can be considered to be a steel industry benchmark in this area. Consumption per tonne of steel manufactured is below that associated with the application of best available techniques, (BAT) according to the EU’s BAT reference document for iron and steel. A central department manages water usage. Improvements to ensure optimal efficiency are developed and reviewed by the site’s Water Steering Group. A series of collaborations with local Universities are assessing the feasibility to further re-use water in various systems across plant. For more details on how we work with local communities, click here. The Scunthorpe site is a hub of the local community, and we work closely with our neighbours. British Steel representatives attend meetings held by residents and stakeholders focusing on sustainability of the local Beck. There is a programme of ongoing fundraising activities to support local and wider charity groups. Recent examples include a Christmas campaign to support local food banks, which lead to over a month’s worth of food being donated by employees. In 2015 we lowered the speed limit on a stretch of road near plant in response to resident’s complaints about traffic noise. A three year programme to reduce dust blowing from our site has been successful. Areas of the site have been landscaped by creating embankments and planting trees, or allowing the existing landscape to grow wild. As well as reducing dust, this has encouraged biodiversity on site. Teesside Beam Mill is located close to Middlesbrough in the North-East of England. The mill rolls structural sections for use in the construction industry, taking its feedstock from our operations in Scunthorpe. Greenhouse gas emissions from Teesside Beam Mill (TBM) result from the combustion of natural gas in heat treatment processes. Indirectly, the site contributes to CO2 emissions associated with the consumption of electricity for conveyance, pumping, cooling etc. Key focus areas for reduction in CO2 relate to the efficient use of natural gas on furnace operations, and electrical efficiency. We are implementing a rigorous energy assessment and improvement process, known as the Energy Wave. A focused core team, together with experienced and knowledgeable plant personnel, develop a plant energy improvement plan for an area over 3 months. So far, TBM have identified savings of over £1 million. In line with British Steel’s objective to eliminate material to landfill, Teesside Beam Mill has been seeking to segregate wastes at source. The site has developed its own improvement plan, utilising a dedicated waste storage area to maximise recycling and recovery. The Beam Mill has established an internal target to reduce the amount of waste it landfills, with another area of focus being on the recovery of dry mix recyclables. We are 0% to landfill. Teesside Beam Mill’s water improvement plan focuses on effluent quality but also includes strategies aimed at reducing overall water intensity at the site. Annual water consumption is calculated and recorded to enable the comparison of historic performance and the early identification of fluctuations. Our sections business is currently undergoing a mapping exercise to distribute stock around the UK in the most efficient way possible. The main aim is to facilitate even quicker deliveries to customers, but a welcome side effect of this is reduced CO2 emissions from vehicle transportation. Local reorganisations have taken place within our Teesside site to order stock in the best configuration, again minimising the ‘steel miles’ between mill and customer premises. For many years our Teesside Beam Mill has enjoyed a strong and active relationship with the local community. In 2015 we sponsored the Tees Valley Wildlife Trust Challenge Day. The event consisted of a series of outdoor challenges for local primary school children, aimed at developing a range of skills including teamwork, co-operation, observation and communication, as well as environmental knowledge and awareness. We have two projects in progress through the Landfill Community fund; developing a sports pitch for a children's football club and transforming a local community hall. TBM teams have made multiple donations to charities. This is a successful initiative aimed at tackling youth unemployment by putting school children in touch with business at an early stage in their education.